Chrichton's World: Review Green Lantern (2011): Severely underrated and underappreciated! 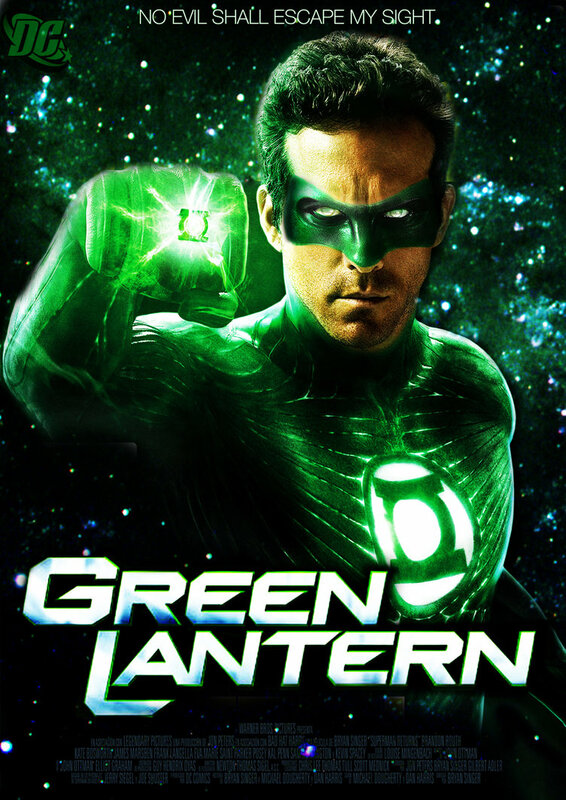 Review Green Lantern (2011): Severely underrated and underappreciated! I really must be getting old because I forgot that I already had written a review for this film. The first review is what I thought the first time I saw it. The second review is what I thought of it after having recently watched it again. With all those super heroes movies it was inevitable that The Green Lantern would get made into a live action movie. After already having seen an animated movie about the origin of Green Lantern I was wondering what more they could do with it. And I have to say that while the movie was good. It didn't pack that punch the animated movie did. Let me make this clear. The movie will satisfy the masses. As the movie is full of humour, beautiful special effects and lot of action. It is everything else that is kinda off especially when compared to the animated version. In there the origin was much better explained. Still, that is nitpicking on my side. Since I wasn't bored one second. There seems to be a lot of hate for this film. Even Ryan Reynolds who portrays the Green Lantern is of this opinion. So this film deserves a second look and will see if still holds up and if the hate is justified. The first time I saw Green Lantern I remember liking it but feeling a little underwhelmed. But I honestly can't remember why. Perhaps my expectations simply were too high. I did think that most reviews were far too harsh and negative even back then. This criticism has even gotten worse over the years. I mean even Ryan Reynolds who plays Hal Jordan a.k.a. The Green Lantern makes fun of himself and the movie in Deadpool. So I thought it was time to revisit and see if all of the negativity is justified. To put it bluntly Green Lantern is a good super hero movie and dare I say a whole lot better than recent DC films. Sure it's flawed. Very flawed but it has it's heart in it the right place. It certainly managed to strike the right chords with me. One of them making me feel good at the end. Something like that is important in a super hero film. Despite what a lot of supposed DC fans might think. Green Lantern is an origin film and all about Hal Jordan becoming the super hero of the comic books. They did a very good job of this by taking their time to show us this development and progression. Perhaps at times it could have done this a little quicker and faster but then again most DC films suffer from this disease so why would this suddenly be an issue for Green Lantern? Now if I have to guess is that the majority of people find this story to be lazy and cliché. Had this film been more than just a super hero film I might have understood that criticism but since it is not I really fail to. I am aware of the trend to make super hero films darker and edgier. But how exactly has that been working out people? Most of the current DC films have been exactly that and are they good and above approach? No. Only Wonder Woman is being praised for coming a little close to what super movies should be about. Then why is Green Lantern being blasted for doing exactly what it needs to do? The CGI and special effects are quite good and will still seem spectacular today. For the most part the cast do a good job. Only in case of Peter Sarsgaard as Hector Hammond I think he made a caricature of a character that had real potential. Granted he might not have a choice because the character was written that way. Still Sarsgaard is real committed into painting Hammond as a quirky loser instead of a real human being with some social issues. I do agree with the general consensus that the writing could have been done better. Not so much the main plot as I think as it's solid enough. But more how the characters act and interact with each other. I missed Hal Jordan having a talk or discussion with his mother about flying and taking risks like his father did. If your husband died how would you feel of your son doing the exact same thing? It would have also explained why at times Hal Jordan was afraid to be the daredevil all the way. All it would have took was one dramatic or explosive scene. To me it would have made more sense if the mother would have been upset than the brother who briefly yells at Hal. The relationship between Hal and Carol also could have been done better as sometimes you hardly feel that they have something together. Other than that I have no real complaints. Believe me I was ready to slam this film but was surprised how much the film connected with me and how I felt rooting for this Green Lantern. We actually see him rescuing people something DC heroes in current movies don't do as much. Green Lantern is not deserving of the hate it is getting especially if you compare it to recent DC films. So do give it a shot if you haven't seen it yet. One special remark is concerning actor Taika Waititi who has directed and was featured in Hunt for the Wilderpeople and What We Do in the Shadows. He is a very funny guy and if you want proof of how funny you should really watch his movies. But most importantly he is the director of upcoming Thor: Ragnarok. And it is going to rock because of it. As you can see that even after so many years Green Lantern holds up and above that still manages to make you feel good at the end and entertain you throughout.